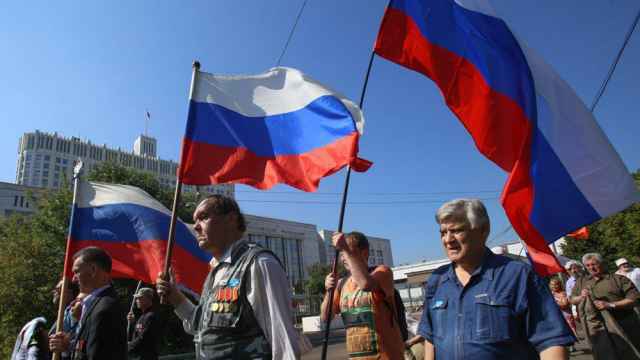 Local elections and mass protests took place simultaneously across Russia on Sunday. It was a day of contrasts. Elections and protests; festivities and violent arrests. Across the country on Sunday, some Russians visited their local polling stations, others demonstrated against unpopular pensions reforms. Many others simply stayed home. 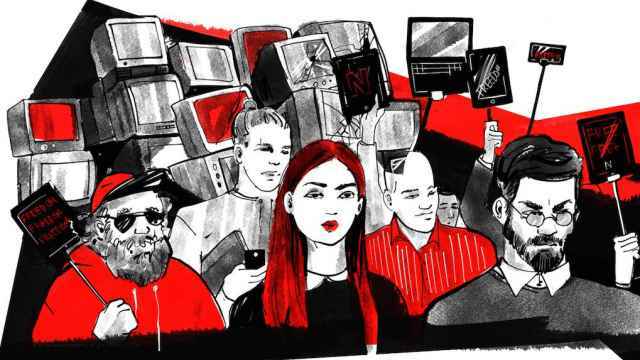 Overshadowing the mayoral, local representative and State Duma elections taking place in 22 regions were protests organized by opposition leader Alexei Navalny against widely unpopular pension reforms in the capital and cities across the country. Pensioners told The Moscow Times they were worried for their children; their children said they were worried they themselves wouldn’t make the retirement age; and teenagers said they were worried for their parents, and their own futures. Around 2,000 protesters, according to Interior Ministry estimates, gathered to demonstrate. Since plans to raise the retirement age to 65 for men and 60 for women were announced in June, Putin’s ratings have plummeted. Even though the president offered a compromise at the end of August, protests against the reforms have been gaining momentum. Just last weekend in Moscow, nearly 10,000 gathered at a sanctioned Communist Party demonstration. And earlier this week, the independent Levada Center pollster found that one out of two Russians were ready to join protests. Most of those on Sunday were not sanctioned, including in Moscow. 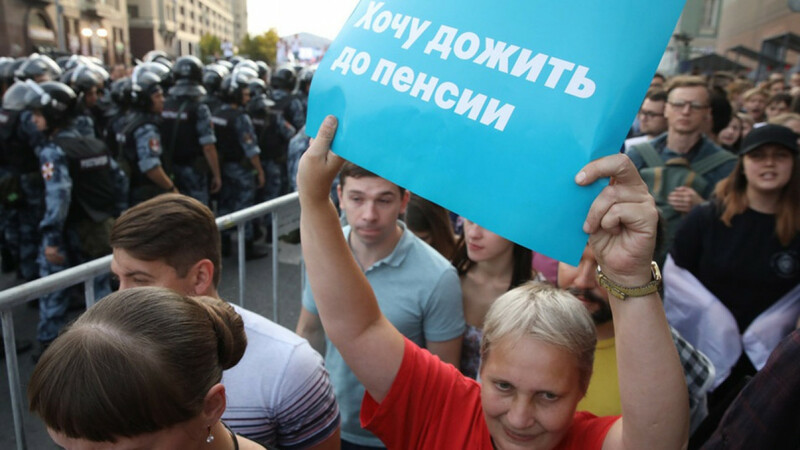 In the lead-up, OVD-Info, a police watchdog, said that 50 Navalny supporters had been detained. 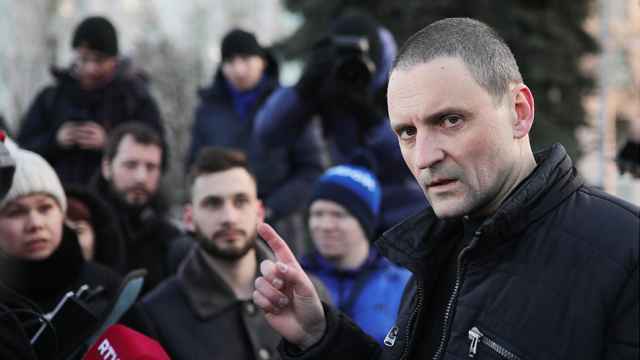 On Sunday morning, another 31 activists, including some of Navalny’s closest aides, were also held by police. According to OVD-Info, nearly 840 protesters were detained across the rallies on Sunday. 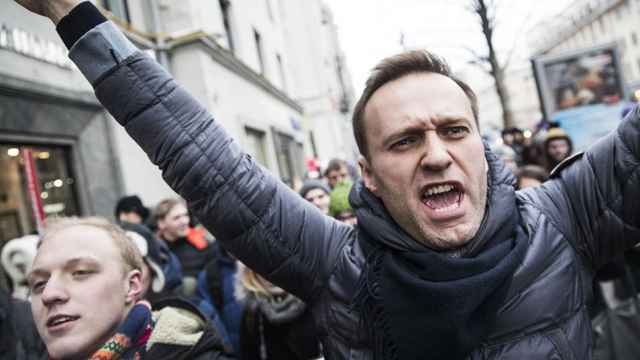 Navalny, who has been a thorn in the Kremlin’s side since he ran for Moscow mayor in 2013, spent the day in jail, for organizing another unsanctioned protest earlier this year. Sergei Sobyanin, who narrowly avoided an embarrassing run off vote with Navalny five years ago, was expected to sail to a much easier victory in today’s mayoral election. 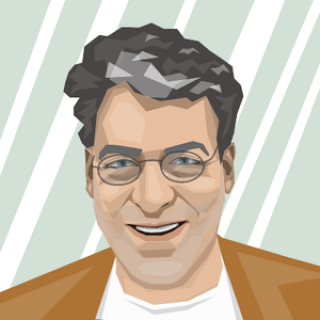 In advance of the vote, the state-run VTsIOM pollster expected the incumbent, an ally of President Putin, to garner nearly 70 percent of the vote. “These are largely elections in which people don’t see a reason to vote,” said political analyst Yekaterina Schulmann on the eve of the elections. “They don’t see the point.” Indeed, ahead of the election, VTsIOM predicted a 31.8 percent turnout. Just meters away from a polling station on Sunday morning, Victoria Kurashbaeva, 31, and Anna Musina, 29, were walking the latter’s dog and enjoying ice cream. Both said they would rather enjoy one of the last warm days of summer than vote in a “meaningless” election. “We don’t have fair elections, so we don’t have a chance to make a difference,” said Musina, an investment analyst for a venture capital firm. Authorities tried to combat voter apathy by creating a festival-like atmosphere at polling stations. They featured speakers blaring pop music, face-painting stands for children and judo-wrestling competitions, among other activities. A reported $1.5 million was also spent on cloud dispersal ahead of the weekend to ensure Muscovites left their homes. Election day also coincided with Moscow Day — or really, Moscow Weekend — in honor of the city’s founding. Some of those festivities — which included live ballet and music and showcased models of the city’s new metro cars — were held adjacent to Pushkin Square. Despite a heavy police presence, protesters across the street were allowed to chant peacefully without being detained en masse — a hallmark of Navalny-led protests. Soon, though, younger protesters seemed to want more excitement and spilled out of the square. “It was getting boring,” explained a teenager leading hundreds of mostly young Russians through busy shopping streets towards the Kremlin. Most of the older crowd remained behind. Along the way, they passed tourists and Muscovites spending their Sunday afternoons relaxing on restaurant terraces and perusing stores like Gucci and Versace. But for those caught between the protesters and police, their afternoons took an unexpected turn when the protestors tried to enter Manezhnaya Square, just next to the Kremlin. There, police had anticipated their route and set up a barricade. Protestors tried to break through, but authorities responded with batons and violent arrests. As they were pushed back, some protestors lobbed projectiles including glass bottles at the police. Bystanders pressed to the sides of the street, trying to avoid the clashes. The violence, though, was brief and the arrests seemed to scare off the protestors who soon dispersed. Ultimately, for Yevgeny Tyurin, a 65-year-old doctor, violence, not voting, is the more likely way of fixing what he called a “rigged” system.